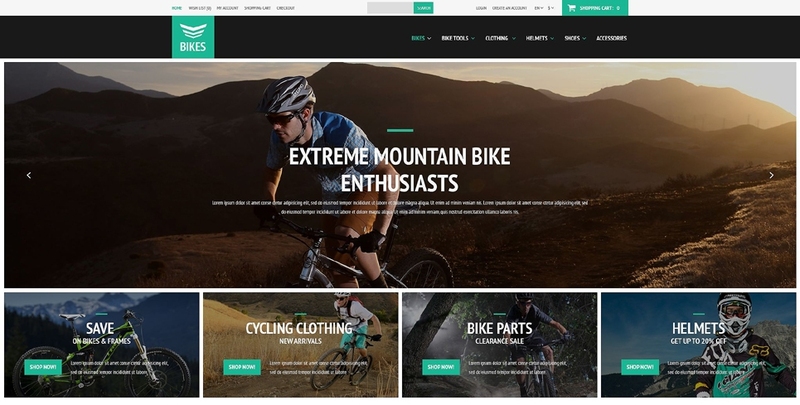 In 2015 TemplateMonster is keeping up with the latest web design trends, and thus presents a new line of templates, crafted specially for OpenCart 2.0 and utilizing all the technological possibilities of the new engine. And now we would love to introduce you to the features we’ve implemented. OpenCart 2.0 becomes fully responsive, but we decided to go further. Our templates now include such innovative features as parallax scrolling and background videos. With them your e-commerce store offers an immersive look that was formerly available only for huge and expensive corporate websites. Assuming that OpenCart is mostly favored by small to mid-size merchants, such an unexpected feature will be a pleasant surprise for your visitors, accustomed as they might be to the more trivial and uniform stores. It is not only the visual aspect of the website that is crucial in terms of order conversion, but you also lose a significant percentage of customers for each step they have to take to make a purchase. We have improved that process. With dynamic Ajax-powered search, Quick View and Ajax Shopping Cart there is no need to load a new page to view additional information or review items added to cart earlier. “Lazy Load” effect is a simple way to get rid of extra processing pages. Such seemingly small details have a huge positive impact on conversion and, as a result, on your income. Influence of social media on e-commerce stores becomes more powerful day by day. That’s why it is so important to support and develop your social media communities. There are several reasons for that. Active community involvement promotes your brand awareness. According to the Nielsen Norman Group, 84% of those surveyed said word of mouth was the most influential factor when deciding on a purchase. 4 out of 10 customers made a purchase after sharing it on social media. That’s why we pay attention to social media promotion in our templates. Now every design is provided with Facebook, Twitter and Pinterest boxes, as these social networks are the most influential platforms for e-commerce promotion (e.g. 25% of consumers follow brands on Pinterest to make purchases). It is extremely important to find a theme that fits your business the best. That’s why topic-specific templates are just as popular as multipurpose ones. TemplateMonster has crafted over 500 OpenCart templates, covering all possible topics – from household supplies to fashion and jewelry. And since all the templates are highly customizable, you can use them for something totally different just by changing a background and a color scheme. Take a look at our new collection and don’t hesitate to leave your comments! This blog post has been sponsored by Template Monster. Please note that whilst OpenCart recommends Template Monster, all views and opinions in this blog post belong to Template Monster and are not those of OpenCart. OpenCart is not responsible for any opinions or claims made in this blog post.